Have you ever wanted to know more about the Spanish language and culture? It’s possible with Spanish Studio! 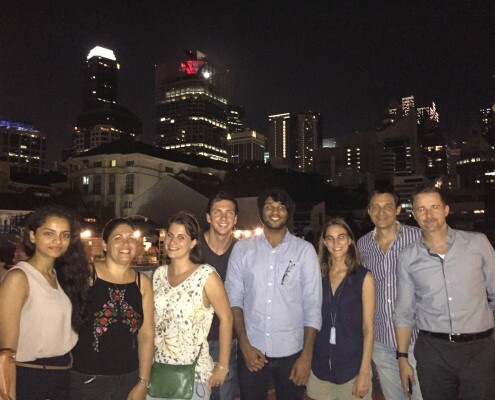 We regularly organize language events with our students to make sure they practice their Spanish in a fun atmosphere in Singapore. It’s a great occasion to discover more about their teacher’s culture, meet new friends, and enjoy a pleasant moment all together! For our first event, we organized a cinema session with our students and friends at The Screening Room to watch “Volver”, one of Almodovar’s best movies. The film was in Spanish with English subtitles, so everyone trained their listening comprehension in a good mood ! We had a great time watching Volver together! After the movie we had the opportunity to share our impressions and opinions, take a drink, play Spanish games, and have fun together! If you too, you want to join our next event, just like and follow us on Facebook! And, if you wish to have a look on the others screening at The Screening Room click here.